I caught these trailers today, and I'm getting really excited for our next Halloween podcast! Raw is good. The Transfiguration is excellent, but depressing. While it would be awesome to hear a movie the club threw out covered, I’m cool with being surprised as well. I don’t want you are ARon to feel obligated at all. 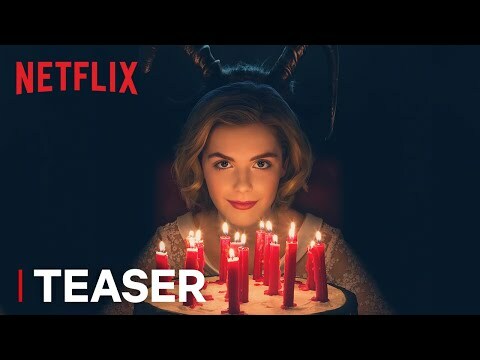 My wife and I are excited for all those, Netflix appears to be nailing Halloween again. Revenge on Shudder was quite good, Triangle also on shudder was good and caused a lot of discussion between us. 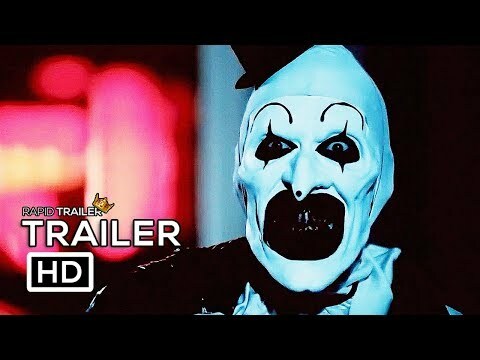 We just saw Terrifier on Netflix, and it was one of the more fucked up movies I've seen in a long time. It was weird and gory and unpredictable. There were at least two things that I've never seen in a horror movie. If I had to make one suggestion, my current broken record recommendation is The Devil's Candy. Short and to the point, I cared about the leads, and the music was all hard rock and it worked so well. Those 3 trailers you threw out are new to me and that’s why I’m excited for whatever happens in Spooktacular Dos! Man I love this month. Terrified (https://www.imdb.com/title/tt7549892/) has gotten pretty good reviews at fantastic fest, and should be dropping on Shudder in October. Have you or Aron seen Salem's Lot? It was released in 1979, filmed here in Humboldt County (Ferndale, to be exact). both are foreign language so either sub or dub, but they’re both classics of the 70s. ^ @Walnut Frey Hausu! Goddammit that's so good that should've been mine. This one is on Netlix currently I watched recently. Pretty creepy. V/H/S 1 and 2, I think 2 is better. I am big fan of any found footage style horror films. The Ringer just released a Horror Oscar list for each year after “Halloween” premiered. @hitmy have not seen The Shrine, but adding it to the list! @JoshTheBlack That's the second time I've seen terrified mention, so definitely worth serious consideration. This is a very serious podcast, after all. @gguenot THANK YOU! Don't Breathe is the other one that we have seen together this year that we'll definitely be talking about. 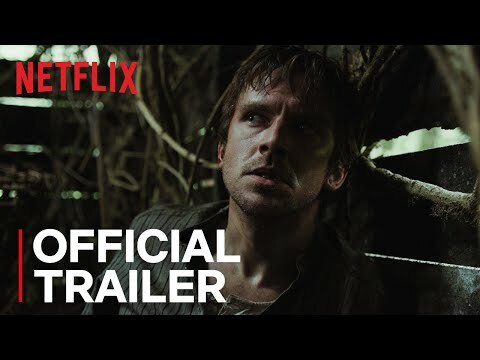 @kuman07 I love found footage movies as well, but after The Blair Witch Project and Paranormal Activity it seems to be about covered. I guess maybe I don't like them as much as I claim. Have you seen Banshee Chapter? We might talk about that one. *whew* Sorry I didn't get back to this thread sooner but this is quality stuff! @Cecily Salem’s Lot is for sure a King adaptation. Granted, it was filmed in about ‘78 so the effects aren’t super high-quality, so take that for what it is. It is legit scary in a few places though, definitely at least worth a watch. [REC] (2007) - A Spanish found-footage movie about a TV reporter following firefighters who are responding to a disease outbreak in a hotel. The Orphanage [El Orfanato] (2007) - A Guillermo Del Toro film following a woman who experiences strange events after purchasing the orphanage she was raised in. @Cecily I have not seen Banshee Chapter, I am going to add that to my list. Thanks for the recommendation! Speaking of del Torro The Devil’s Backbone and Cronos are two that are recommended and Criterion collection movies. Can you all cover Hereditary??? I thought this was the scariest film of 2018. I usually enjoy those disturbing movies, but for some reason Hereditary was too much for me. The decapitation and severed head was just too real. Maybe it’s because I’m recently a father to a daughter, idk. This movie was shot for something like 50k and a lot of the dialog is improvised but I loved it. It's a good movie and really shows how much effect something as simple as glow sticks can have if you get creative enough. The @a.ron & @Jim did a cover of Hereditary the night it came out. I loved that movie despite their review so I'd love to talk about it more this year! It's my favorite horror movie in a really long while, since The Witch definitely. But I tend to like divisive movies. I completely understand where you are coming from. What I love about the movie is it’s interpretation of family, how different generations interact with each other, mental illness, and of course what we pass down/receive from our family members. One more I want to throw out there that just started streaming on Shudder called Satan’s Slaves. It is an Indonesian film with subtitles but they also have an English dubbed version. I watched the original and thought it was really good. There are some good jump scares but also a good story and character development. @darwinfeeshy I second [REC] (2007). I came here to mention it but you beat me to it. I've heard a lot of buzz this season about The Changling (1980). My coworker mentioned it to me first and just talking about it was giving her goosebumps, and then I saw it on one or two of those Underrated Movies You Haven't Seen lists.